Join Luke Bryan as a VIP to attend an intimate pre-show performance, take home exclusive merchandise, and more. 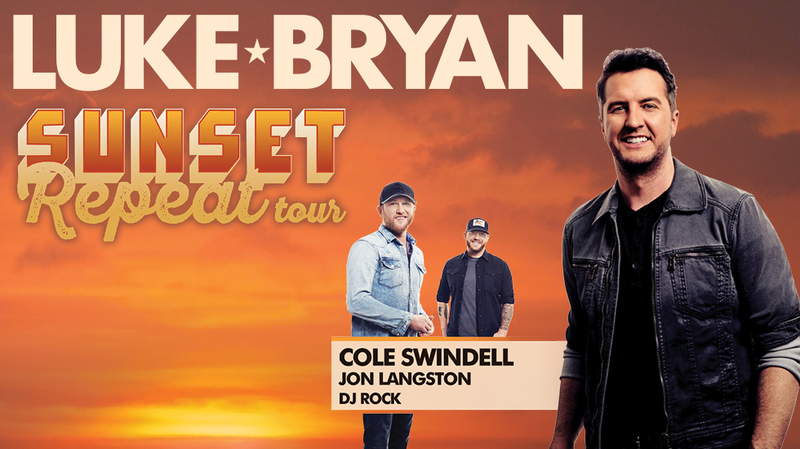 Sign up to receive Luke Bryan on sale info here! A: Unfortunately, we are unable to process any orders over the phone and therefore all packages must be purchased online. However, we’re happy to help walk you through the purchasing process if you’d like to give us a ring at 888-805-8930! A: Nope! This package does not have a minimum age. Of course, any alcoholic beverages are for patrons that are 21 years or older. Q: How do I access the pre-sale? A: You’ll access presales the same way you always have – by logging in at LukeBryan.com/login and clicking “PRESALES”. Ticket links will show up on that page at the correct time for your membership type. Q: Does the pre-sale apply to VIP packages? A: Yes! Presales for VIP tickets will also begin at 8AM local time for All Access Pass members. All Access Pass Members will have a separate VIP presale code which can be found on the right side of the member home page. Nut House members will get access to the pre-sale at 10AM local time. Q: What does “General Admission ticket” mean? A: General Admission Tickets provide access to the standing room area. If your package includes a standing General Admission Area Ticket, you will NOT receive access to reserved seating areas. If your package includes a Premium Reserved Seat in the first (20) rows, you will NOT receive access the standing General Admission Area. Please note that unless one of these options is sold out/unavailable for your show, you will have the option to choose one of these options during the purchase process. A: During the purchase process, you will have the option of having your tickets mailed, printed at home (E-Ticket), or picking them up at Will Call. If you choose to have your tickets shipped to you or printed at home, you will still need to check in with us at the event to ensure you get to take advantage of all the perks that come with your package! If you select Will Call as your ticket delivery method, you will need to pick your tickets up from the box office before heading to Check-in. Q: If I’m unable to make it to VIP Check-in, how can I receive my merchandise? A:All merchandise must be redeemed on site at our VIP Check-in. We are unable to ship out any merchandise post-event. A: Parking is not included. Please refer to the venue for more info regarding parking. 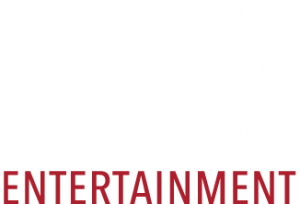 Q: When can I check in as a CID guest? A: Generally check-in opens about an hour before venue doors open. More specific times will be announced in the informational email we will send to you about a week before the event. Q: Is there a secure space that I can leave my merchandise during the show? A: Once you check-in and receive all appropriate merchandise, you should have the opportunity to bring items back to your car before getting your ticket scanned and entering the concert venue. Q: If I purchased the “Sunset Repeat” VIP Experience, when will the pre-show performance take place? A: The pre-show acoustic performance will take place during the pre-show party in “Luke’s Lounge”. It is possible that Luke’s pre-show performance may overlap with the opening acts for the main show. In most cases, guests are free to come and go from the VIP lounge to enjoy the opener before Luke’s acoustic performance although this will differ among venues depending on their policies. More specific times and locations will be announced in the informational email we will send to you about a week before the event. Q: If I purchased the “Sunset Repeat” VIP Experience, can I bring my own camera to the pre-show party? A: Yes! You will be allowed to bring a standard point-and-shoot camera. All camera phones are acceptable, however, GoPros, cameras with detachable lenses and selfie sticks will not be permitted. Q: Will Luke be signing autographs? A: Luke will not be able to sign autographs due to time constraints. Q: Are there any photo opportunities with Luke during the Pre-Show Party? A: Since this package does not include a meet & greet, personal photo ops are not available due to time constraints. However, you are more than welcome to take photos during the pre-show performance! Q: What is a concert concierge? A: The concert concierge is an onsite staff member dedicated to our VIP guests available for any questions or concerns that may arise while you are at the show! A: The original purchaser will pick up everyone’s VIP credentials and merchandise at check-in. They will have to distribute accordingly. We advise everyone enter the concert all at once. Q: I purchased packages for my family, but I will not be in attendance. How can they pick up their tickets on my behalf?